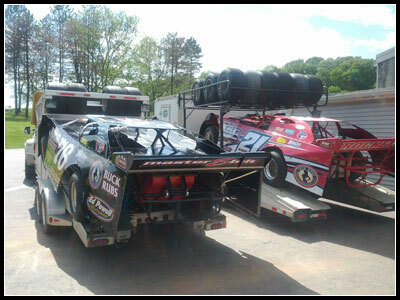 5-13-12 A Friday trip to Bedford saw the debut of and experimental Rocket Chassis that Scott and the team has been working on. After a bad draw, Scott started the feature 14th and finished a strong 8th place. On Saturday, the team took their Mastersbilt by Huey to Selinsgrove and again had fuel system problems leading to a DNF. The next race will be this Friday at Bedford, weather permitting. Check our twitter feed at https://twitter.com/#!/haus76 for the latest schedule updates. 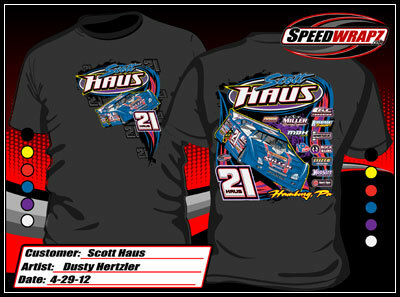 5-6-12 New T-Shirts are available! Check here for more info.